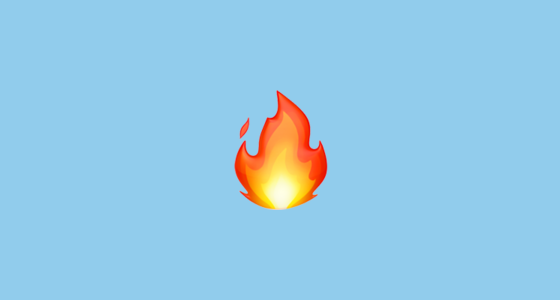 According to the Gemara, while the Parsha discusses new services in the Mishkan and it’s inauguration, we find a new description of how we kindle the Menorah: “A perpetual fire shall burn on the altar, not to be extinguished” (6:6). Rashi comments (quoting Yomah 45), that after having already explained that the fire should not be extinguished in the preceding verse (6:5), this verse is making a new connection: that the perpetual fire of the Mizbeach should be what kindles the perpetual fire of the Menorah. But why? Why must the fire of the altar provide the fire for the Menorah? Why can’t the Menorah have it’s own pilot light next to it, still within the inner chamber? What is the significance of going out to the fire of the altar to be brought back inside? Rav Moshe Feinstein explains, at least homiletically, that this transference of fire is actually symbolic of the proper teaching method of one teaching Torah. On the one hand, fire represents light, particularly as it stands calmly in the Menorah, illuminating the inner chamber of the Mishkan. On the other hand, however, it also represents passion, the burning desire to do something. Rav Moshe points out that excitement for the study of Torah and passion for it is obviously beneficial, but only in the proper places. When a teacher motivates a student to learn, it should be with excitement, engendering a similar passion in the student. But at the same time, that excitement must only be “external”, from the outside. Once the study of Torah commences, internally, it must be approached calmly and seriously. While passion is of course important, it cannot cloud our judgement in our haste to find a new idea, to say something exciting, or to cover a lot of material. There’s a constant tug of war between the emotional and cerebral aspects of our learning, but neither should be overwhelming to the detriment of the other. Only four weeks after we are called to engage with wine in celebration of Purim, we are called once again to use wine for the four cups of the Seder. Only this time, the atmosphere is a little different. While, of course, there is a certain celebratory nature to the joyous time of Pesach, the Seder night is far from simply a celebration. As the long analysis of the Maggid section shows us, it also emphasizes the cerebral, intellectual aspect of the day; to understand and contemplate the nature of freedom. While we prepare with excitement and exhaustion for the Pesach Seder, the Menorah reminds us that our excitement is a vital piece to the process, but that it should be tempered with a healthy balance of calm and steady understanding. In this way, before we’ll hopefully feel free, we’ll also know what it truly means first.